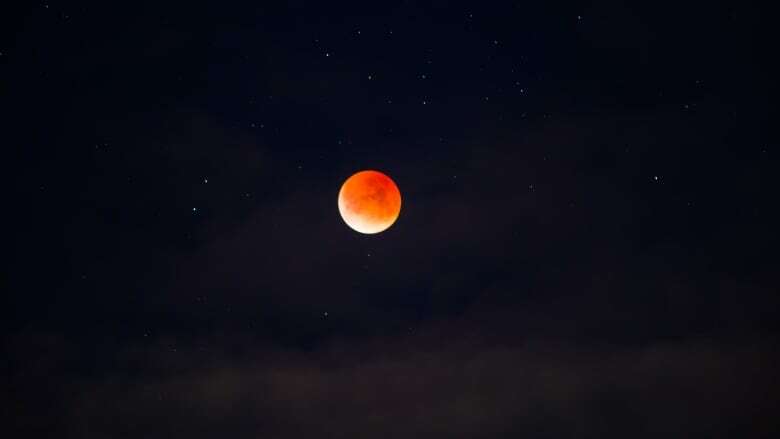 It's the first time in 35 years a blue moon has synced up with a supermoon and a total lunar eclipse, so-called a blood moon because of its red hue. 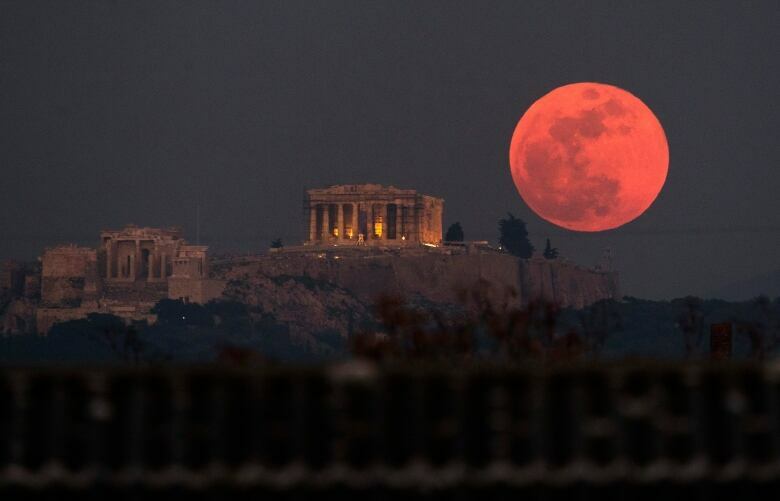 The moon put on a rare cosmic show Wednesday: a red blue moon, big and bright. At the Griffith Observatory in Los Angeles, hundreds gathered on the lawn in the wee hours under clear skies. Traffic was backed up more than 1.6 kilometres around the observatory. Sky-gazers also lined the beach near the Santa Monica Pier, some snapping photos and others reclining in the sand, their faces turned upward. 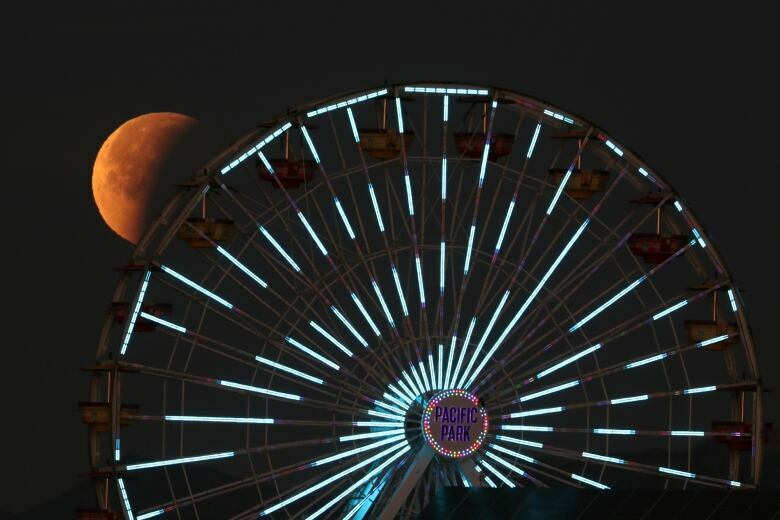 John Cook joined fellow photography enthusiasts at the pier, using the ferris wheel and roller-coaster for his foreground. "It was incredible," said Cook, a visual effects artist for films. Photographers also gathered at the Telegraph Hill neighbourhood of San Francisco, striving to get the famous Coit Tower in their moon shots. In San Francisco's Marina district, a crowd gathered to watch the super blue blood moon, as NASA calls it, set over the Golden Gate Bridge. Spectators got lucky: There were clear skies and no trace of the city's famous fog. "It's very cinematic, the way the moon is changing colours and reflecting on the water," said Clara Cambon, who arrived around 5:30 a.m. with her husband. On the other side of the Pacific, where it was already nightfall, hundreds descended on the Tokyo Garden Terrace Kioicho complex, where telescopes and binoculars were plentiful. A TV monitor showed zoom-in views of the moon, and a university professor gave a rundown as the eclipse unfolded. "It's wonderful to be at this precious event and to have been able to see the moon looking so beautiful," said Mayumi Kimura, a visitor. The U.S. East Coast, Europe and most of South America and Africa were out of luck for the total eclipse. At Cape Canaveral, Fla., where a rocket delivered the first American satellite to orbit exactly 60 years ago — Explorer 1 — the blue super moon loomed large in the sky. 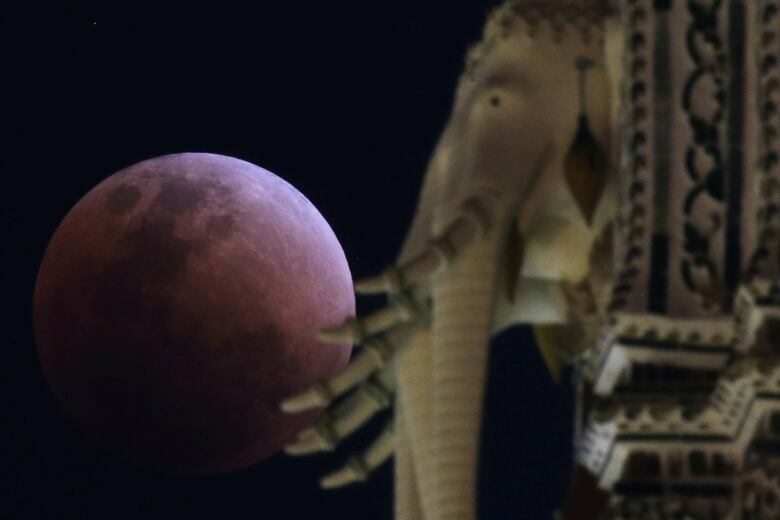 NASA called it a lunar trifecta: the first super blue blood moon since 1982. That combination won't happen again until 2037. 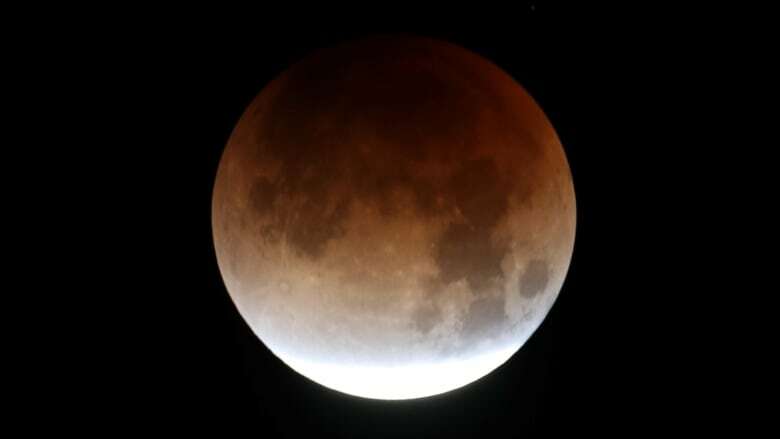 For those looking ahead, the next supermoon is in February, the next blue moon is in March and the next total lunar eclipse is in July, according to NASA. NASA lunar scientist Noah Petro said he was astonished — and thrilled — by all the attention and fuss. The total solar eclipse that swept across the U.S. in August contributed to Wednesday's buzz, he noted. Missing out on the eclipse from his home in Virginia, he watched the event online Wednesday morning with his two children, ages three and seven. "I hope that people use this as an opportunity to dig in a little more and learn about our own planet, our wonderful sister planet, the moon, and the sun and all the other great objects in the solar system," Petro said on his way to work at Goddard Space Flight Center in Greenbelt, Md. Scientists were keen to study the sharp, sudden drop in temperature at the lunar surface as Earth's shadow blankets the moon. 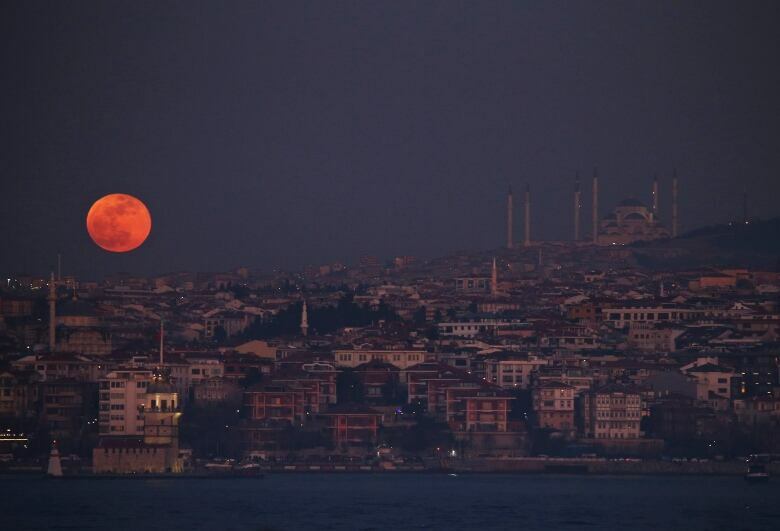 During the more than one hour of totality, the temperature plunged 38 degrees Celsius, said Petro. He's deputy project scientist for NASA's Lunar Reconnaissance Orbiter, which has been circling the moon since 2009. His team took special precautions to keep the spacecraft warm during the eclipse. For the trivia crowd, the moon was 360,200 kilometres away at the peak of the eclipse, close enough for supermoon status, according to NASA.